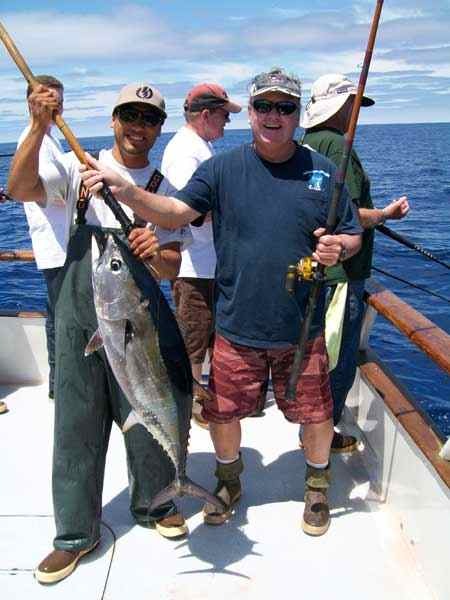 "We finished up the morning in yesterday's area," recollected the report from American Angler for July 17, "and it took hours before the fish wanted to come and show themselves. Just about the time we were taking off for home we got a couple of stops, threw on a few handfuls of BFTs and then hit the road. 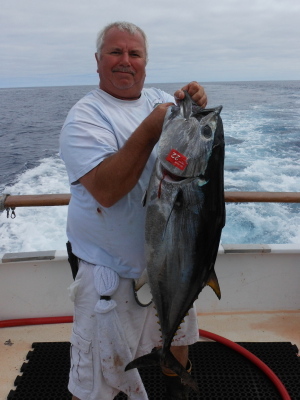 The photo of the day is our number one customer on the American Angler (Bill Randall of Foothill Ranch). This year to date he'll be fishing with us over a 100 days for the season. That's doing it right. 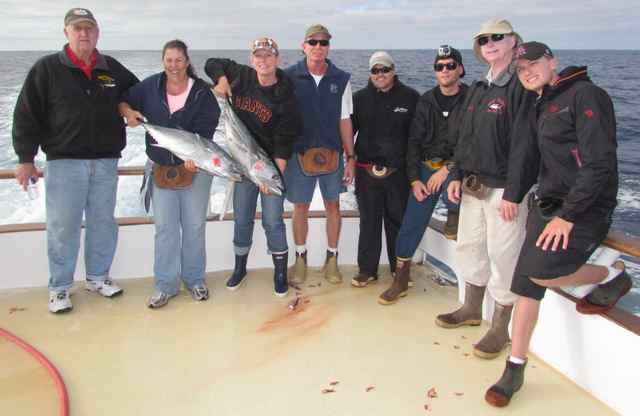 "It's time to say thanks to all of the gang for being part of this ever so special trip with gorgeous weather and off the hook fishing. To top things off, it looks like we are going to make it all the way back to the dock without even getting the windows wet."